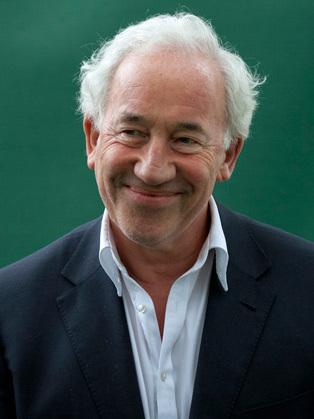 Simon Callow is an actor, author and director. He studied at Queen’s University, Belfast, and then trained as an actor at the Drama Centre in London. He joined the National Theatre in 1979, where he created the role of Mozart in Peter Shaffer’s Amadeus. His many one-man shows include Tuesday’s at Tesco’s, The Mystery of Charles Dickens, Being Shakespeare, A Christmas Carol, Inside Wagner’s Head, Juvenalia and The Man Jesus. He has appeared in many films including A Room with a View, Four Weddings and a Funeral, Shakespeare in Love, Phantom of the Opera, Viceroys House, and Hampstead. Recent credits include Blue Iguana, Victoria & Abdul and The Man Who Invented Christmas. Simon’s recent TV credits include Henry Palmer in The Rebel, Death in Paradise, The Duke of Sandringham in the television series Outlander, Galavant and The Life of Rock With Brian Pern. He directed Shirley Valentine in the West End and on Broadway, Single Spies at the NT and Carmen Jones at the Old Vic, as well as the film of The Ballad of the Sad Café. He has written biographies of Oscar Wilde, Charles Laughton and Charles Dickens, and three autobiographical books: Being An Actor, Love Is Where It Falls, and My Life in Pieces. The third volume of his massive Orson Welles biography, One Man Band was published in 2015; Being Wagner: the Triumph of the Will a biography of Wagner, was released in 2017. Music is his great passion, and he has made many appearances with the LPO, the LSO and the LMP.